Located in Muhayil, Boudl Mahayel Aseer is within a 5-minute drive of Abu Bakr Mosque and Ibn Taymiyyah Mosque. Featured amenities include a 24-hour front desk and coffee/tea in a common area. Free self parking is available onsite. 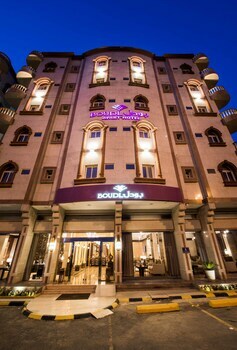 When you stay at Boudl Gaber in Riyadh, you'll be 7 minutes by car from King Fahd Stadium. Featured amenities include dry cleaning/laundry services and a 24-hour front desk.